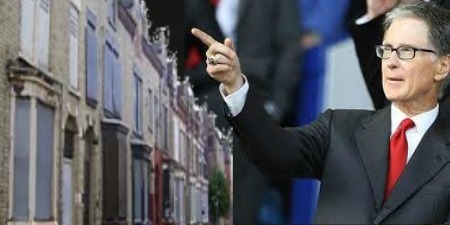 Source: The Triangle - Is this REALLY Anfield? Further to an official statement by Liverpool FC, the subject of the Anfield ‘Redevelopment or Relocate?’ debate is once again to the forefront. It is six months ago now since I weighed up the options in a Kop Blog (see http://thekop.liverpoolfc.tv ) and many of the ‘obstacles’ that I considered are now said to be standing in the way of the club’s preferred option to stay at their current location and redevelop to a 60,000 capacity. Liverpool City Council Leader Joe Anderson responded earlier today, by putting the ball firmly in the court of Liverpool Football Club, making it clear that the decision is a commercial one for the club. He stated that LFC need to make a decision, taking into account the interests of not just the football club, but the people of the Anfield and the city as a whole. Ian Ayre had stated that because of the obstacles being encountered in redeveloping, the issue of naming rights for a brand new stadium is now being pursued. This is a necessity, because of the prohibitive costs of a new construction, which would only provide a net increase of 16,000 seats, and would thus take many years to generate the income to fund the project. 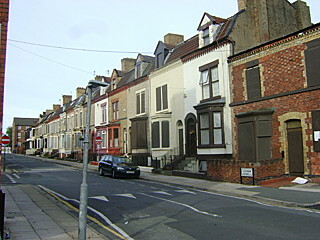 The ‘Statutory Requirements’ referred to in Liverpool FC’s statement were in respect of both the right to light and also the land/property acquisition. If the club was to pursue Compulsory Purchase Orders on the properties in Lothair Road and Alroy Road, they would need to convince the Secretary of State that it presented a strong regeneration case, according to Mr Anderson. 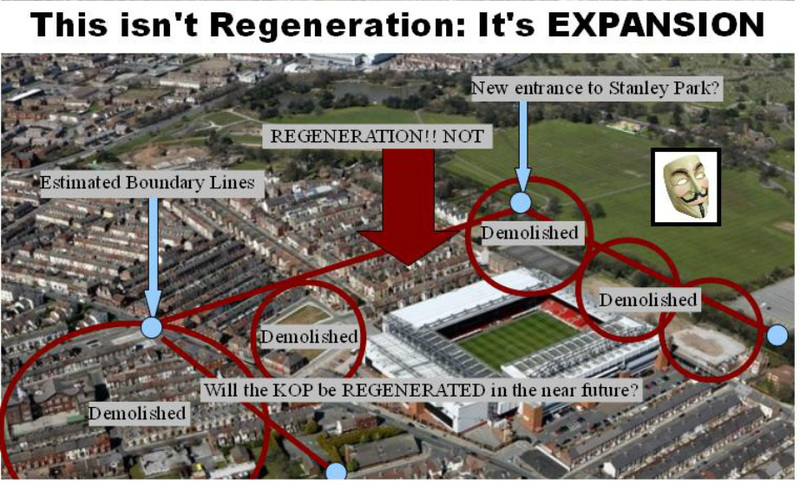 “A new football stadium is not a case for regeneration” he stated. 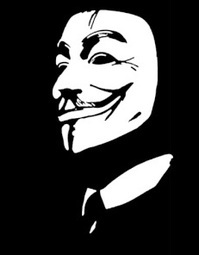 A CPO enquiry could take 3 to 4 years to resolve, meaning up to four years lost revenue. Anderson also commented that if both Liverpool and Everton Football Clubs decide to redevelop their present grounds, then the land in Stanley Park could be used by Liverpool Council for a regeneration project. 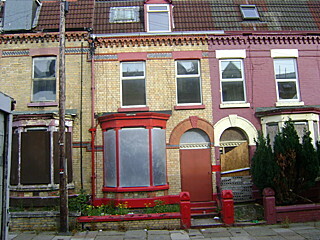 “For now though the people of Anfield are living in an area blighted by decay. This cannot be allowed to go on” he said. Joe Anderson was keen to stress that his allegiance to Everton (he is a season ticket holder) has nothing to do with any decision making process on the future of Liverpool’s ground. This afternoon, I took the opportunity to photograph the area behind the Main Stand and Anfield Road which would be the areas affected by expansion plans. 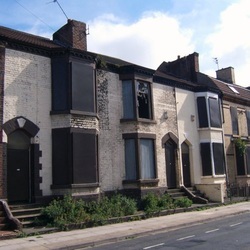 Mr Anderson is certainly correct in saying that this area is blighted by dereliction, but it is over simplistic to suggest that the running down of these streets has only been ongoing since Liverpool FC announced plans for a new stadium. I live in the area, and I can assure you that the rot set in a good 15 years ago. 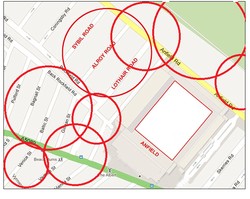 The number of properties which are still occupied in Lothair Road, backing on to the Main Stand numbers seven by my reckoning. 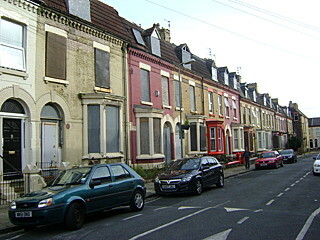 I would think that those living amongst the empty boarded up slums would be glad to take an over-inflated offer to re-house. The sums involved would be akin to a few weeks’ wages of certain surplus-to-requirements players. I am old enough to remember the similar problems LFC had in buying up the last few houses in Kemlyn Road to facilitate the construction of the Centenary Stand. It took time, but eventually the parties involved accepted an offer and the bulldozers moved in. Liverpool FC has laid their cards on the table in making an announcement and for that they should be applauded. It seems that their preferred option, to stay at Anfield, is being subject to restrictive deadlines, which will now force them to upset many traditionalists and move to Stanley Park. In my opinion, the Council should give whole-hearted backing to whichever option LFC recommend and the full force of the Council’s support should be seen to be behind it. Sadly, the same council that approved the demolition of the famous Cavern, seems to be playing to its own agenda.